What do diabetes and gratitude have in common? Actually, they share two important things. 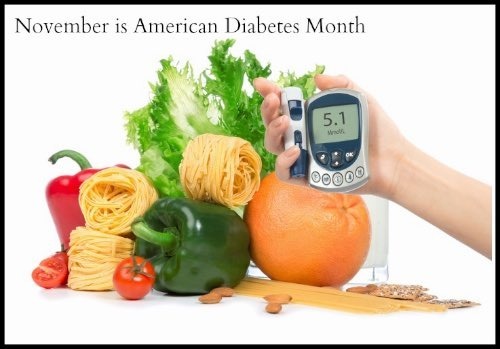 First, they share the month of November, and second, all of us who have diabetes have a lot to be grateful for. By why this month, which since 1621 has been associated with the Pilgrims giving thanks for our blessings? Eventually, in October 1789 President Washington issued the first “Thanksgiving Proclamation” in which he recommended that we give thanks on a day in the month of November. But why do you and I possibly have reason to be grateful for our diabetes? In the first place, if we live in the United States or in any of the other countries with a modern healthcare system, we can appreciate that we have any doctors, nurses, hospitals, diabetes medications, and technology to help us manage our diabetes. Even while we often complain about its shortcomings, this is a time to show our appreciation for its strengths. In the second place, everyone who can read this is alive now in the month of November 2015. Never before have we known so well how to control diabetes. Before Drs. Banting and Best discovered insulin in 1921 everyone with type 1 diabetes was doomed to an early death. For people with type 2 diabetes we didn’t have any oral medications before 1975. If you aren’t suffering from a complication of diabetes, you actually have every reason to be thankful that you have this chronic disease. Even if you already have some complications, you can reverse most of them. Our health in general improves when we manage our diabetes. What’s good for managing diabetes is just as good for managing our entire body. In fact, I usually think that it’s better that we don’t have a cure for diabetes. If we did, we would undoubtedly slack off on doing what living in a body demands. Finally, you can show your appreciation to your family and friends when you sit down to the Thanksgiving repast and bypass the turkey dressing, the bread and rolls, and the sweets. They will be thankful for you for the opportunity you give them to stuff themselves with the extra starch and sugar that you make available to them. You can be thankful that you ate just enough and for all of your other blessings. Including your diabetes.